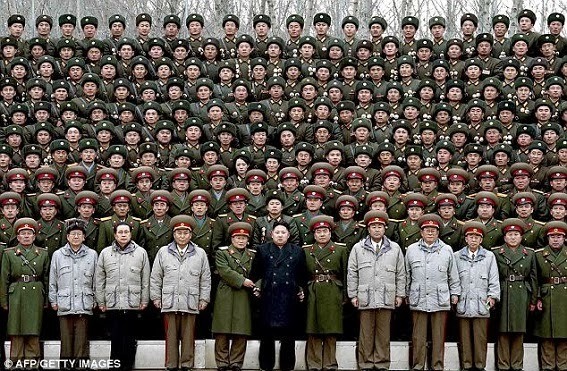 - Never film or photograph the Supreme Leader Kim Jong-un in person. This example photo is why you have no permission to do so! It is just not allowed unless it is in a control environment. a) You always have to shoot from a low angle point of view. - Respect The Press: If a newspaper has a photo of the leader then you are not allowed to fold it and you must respect it. 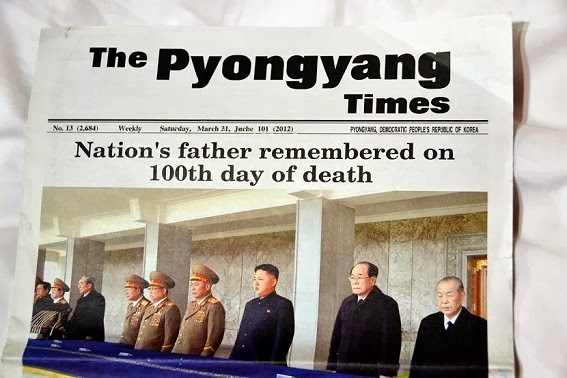 Of course every news paper has a photo of the leader. 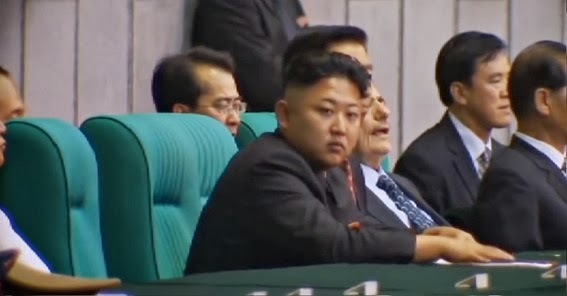 - No Footage of Korean Comrades. Military or Civilians as tour guide will claim that Koreans gets offended by it. Tell you what let's not film any local are we clear? 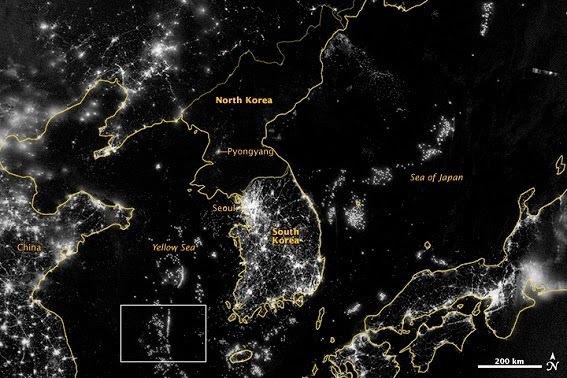 - North Korea is the most isolated country on earth. 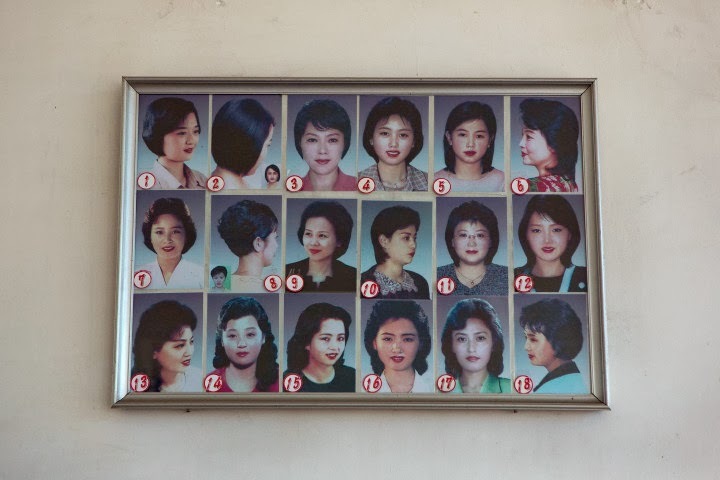 - Kim Il-sung is still in power even though he has been dead since 1994. 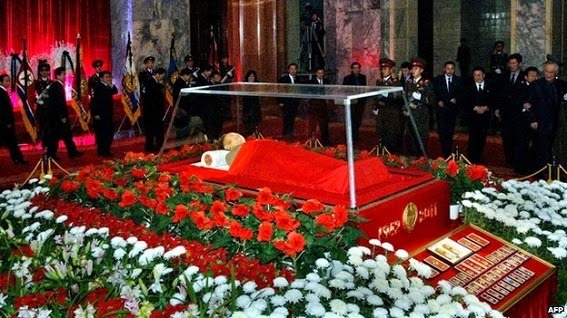 After Kim Il-sung's death, the North Korean government wrote the presidential office out of the constitution, declaring him "Eternal President" in order to honor his memory forever. 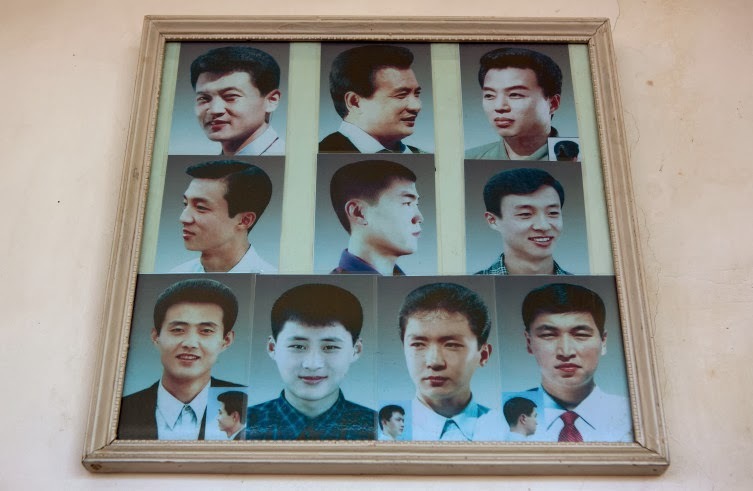 Since there can be no succession in a system where the President reigns over a nation beyond death, the powers of the president are nominally and effectively split between the chairman of the Supreme People's Assembly, the prime minister, the president, and the chairman of the National Defense Commission. Not just flowers, mountains and trees you name it! - Because they don't have technologies like big screens or projections they use people instead of pixels. Also there could be 80,000 performers in the stadium performing all kind of dances to glorify the supreme leader's succession. Can you imagine how hard it is to perform something like this? Again this is not a projector, a screen or even a painting! This is a stadium full of people with colored boards. I guess if one of the pixels persons did a mistake he could be executed. 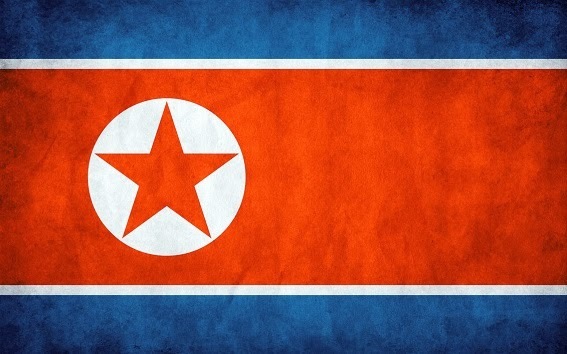 - North Koreans could spend years just to plan their escape and if they are caught, they will face a very hard punishment like to be sent to concentration camps or they could be executed. 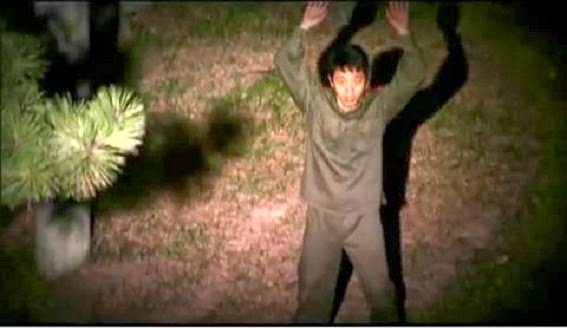 This escape is often called (Defection) because most of them leave go to South Korea. - They have a lot of stores full of stuff either fake or not for sale. They are only used for propaganda movies. This store in the picture below, the store is full of fake fruits. - They have recently deployed mobile networks, there mobiles can only work internally and no communication with the outside world. But people found a way to alter those devices and use them to call the outside world. Still it is a risky thing to do. - It is illegal to watch foreign TV stations, the Government control all media platforms. The people does not have internet, the only TV is the state TV. Yet people are able to smuggle movies and TV series to be watched on their DVD players or flash memories. Their radios are only tuned to local radio stations but can be modified to get a South Korean radio stations. 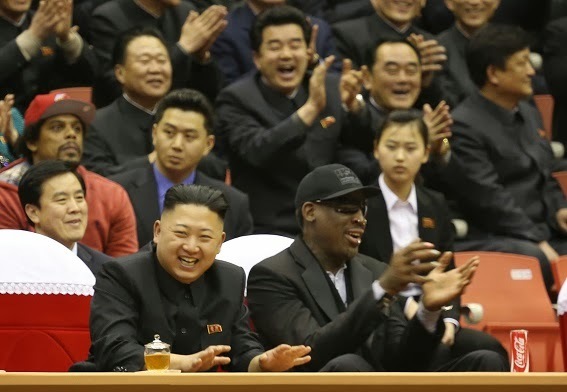 - And yes, Dennis Rodman is a good friend of the Kim Jung Un the current "supreme leader"
"You have a friend for life"
If you are curious like me you will probably wants to know more about North Korea. I have picked a few good documentaries that I have watched while preparing this article and I really recommend you to watch every single one of them. I know that might be a lot but I assure you that they are worth watching. Note: The below movie will only work if you are in the US. Note: The below movie might only work if you play it directly in Youtube.